Nothing defines class and comfort like the Corporate Luxury Sedan. 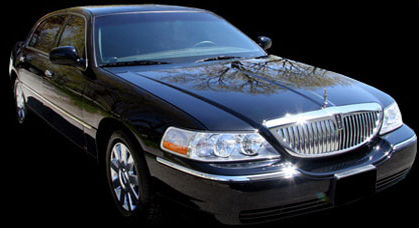 Our Black Lincoln Town Car and SUV are perfect for airport service and corporate transportation. This Limousine features mood and strobe lighting inside and out a full wet bar 5 ice chests, 3 Flat Screen Tv 's and cd player with surround sound and iPod hook up. This vehicle is also equipped with a star gazer champagine shaped mirrored ceiling, light show and under car neon lights. This Limousine features mood and strobe lighting inside, 3 ice chests, Flat Screen TV, CD player and an iPod hook up. It also has under car neon lights, strobe lights, a star gazer mirrored ceiling with a rose pattern and a light show that reacts to music. 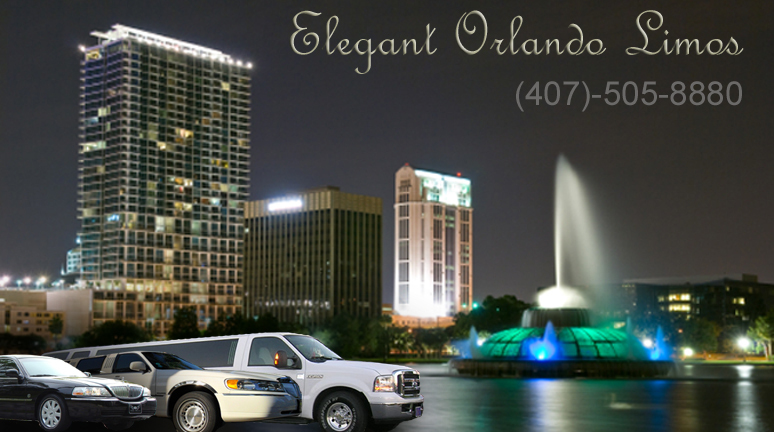 Elegant Orlando Limos operates the most diverse modern fleet of professionally operated vehicles in Florida. We have become one of the top preferred Orlando Limo Services. At Elegant Orlando Limo Service we are certain we can meet all of your Orlando luxury transportation needs. 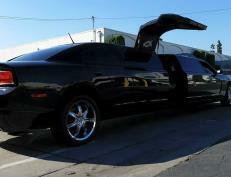 Elegant Orlando's Limos are all maintained and detailed in house. Class and style is the best way to describe our 8 passenger Lincoln Limousine. 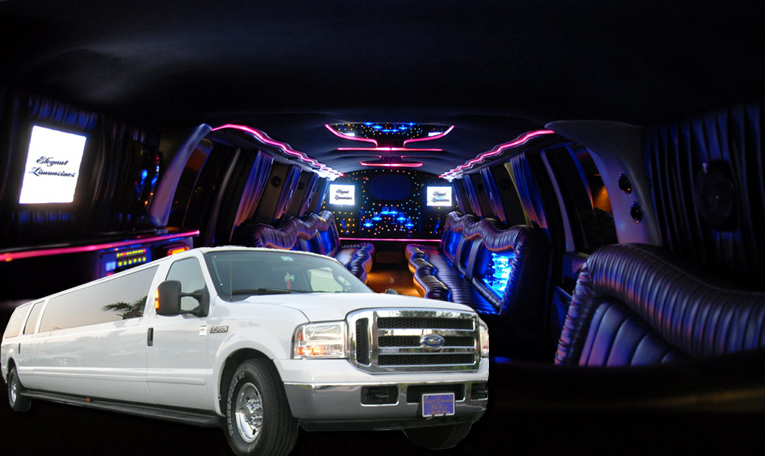 This vehicle features fiber optic lighting, leather seating for 8 passengers, Cd / Ipod hookup. 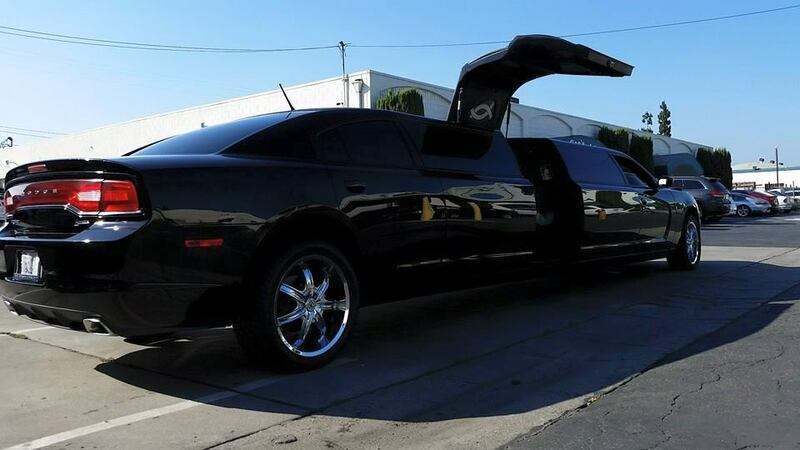 This Limo offers a 5th door that most limos don't. This option makes for a much easier time entering and exiting the Limo.